Moving can be tough on kids. Here is advice. Moving towns can be stressful for everyone, especially for children. The move can be made more difficult by the kids’ age, with adolescents more likely to have a problem with readjusting to a new life in a different town after leaving everything behind. “Adolescents are generally trying to forge their own identity and differentiate themselves from their family. It is therefore a more complicated scenario as they may feel they have established a social circle and have a group of friends that they like and trust,” explains clinical psychologist Mark Southwood. 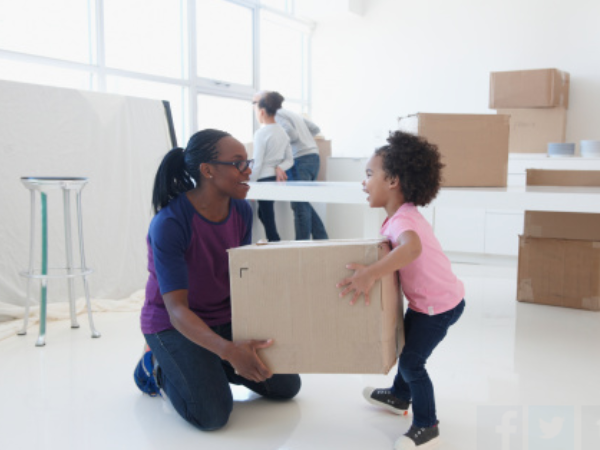 Moving towns may also be more difficult for an only-child. “This is because an only-child does not have the support from siblings,” says educational psychologist, Claire O’Mahony. The good news is that as a parent, there are things that you can do make the transition easier. “Open communication is important in making the transition less stressful,” says Claire. She suggests discussing the move with the kids a few months before it actually happens- explain to them why the move needs to happen. “Trying to lie or ‘surprise’ you child can have damaging results. Children are able to appreciate and process information if it is given to them on a level that they can understand,” says educational psychologist Liana Kruger. She adds that you should only approach the child/children when you are certain the move is going to happen. How you approach them is also crucial. “Put it in (positive) words that your child will understand (i.e. don’t say we are moving because daddy lost his job and we need the money rather opt for daddy has a new and exciting opportunity to do something different at work and we are all part of this adventure because we are going with him! ),” adds Liana. At the same time, it is important to acknowledge their feelings. As a parent, you need to understand they may be scared and anxious. “They will want to know why, how, when etc. and if you will ever come back? You may not know all the answers to these questions however try to provide some comfort by at least giving them the time to voice their concerns and by providing enough information so that they don’t feel scared and confused,” says Liana. Parents shouldn’t ignore these concerns. Researching as much as possible into the new area can also make the kids adapt easier. Find out as much as possible about the new neighbourhood and school: do they offer the same sporting activities your child was involved in before the move? If the kids are old enough, Claire suggests encouraging them to research the new area too, therefore, involving them in the whole process. Allowing them to choose their new room’s colour, for example, will also get them excited about the new place. After the move, it will take a while before the kids adjust to the new area. “It will take 3-4 months for most children to settle into their environment. You may notice withdrawal symptoms and decline in academics. If these continue after a few months, then it’s best to get professional help,” says Claire.